Electronic Kit School. - It is very important to know more about the instrument that used in electronic measurement project like to test the resistance of resistors, DC voltage, AC voltage, transistor condition, DC ampere, etc. And one instrument that very familiar for electronic hobbyist and student is Multitester. 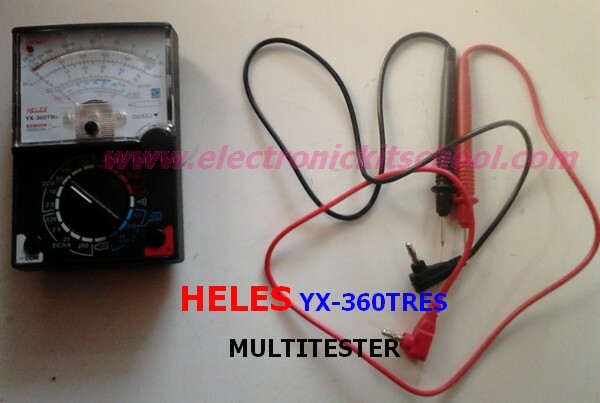 In the first my posting here,i will show you one of Multitester that will help me to measure or test many electronic project is Heles YX-360TRes Multitester like show in Figure 1 above. With this Multitester i can use it to measure Resistance, DC Volt, AC Volt, DC Ampere, and Iceo Transistor. 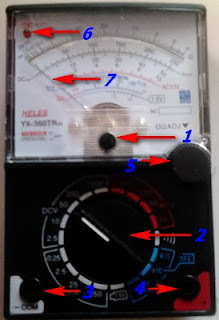 In here, i will try to show you information about this Multitester, like the appearance and part name and also how to use it to measure or test the resistance of resistor, DC voltage, AC voltage, DC ampere, Iceo transistor. Heles YX-360TRes Multitester has some parts that can i show you with see the Figure 2 below. 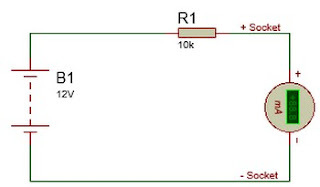 To begin testing the resistance of resistor, please see the Figure 3. below that show the connection of Resistor and Multitester. To begin testing the DC Voltage, please see the Figure 4. below that show the connection of DC Source and Multitester. To begin testing the AC Voltage, please see the Figure 4. below that show the connection of AC Source and Multitester. To begin testing the DC current, please see the Figure 6. below that show the connection of the circuit that will test the current flow and Multitester. To begin testing the Iceo transistor, please follow step by step the connection of this transistor and Multitester as follow. 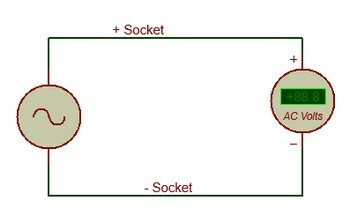 Plug the test leads into + and COM sockets. Set the range selector to X10 for small size transistor, or to X1 for big size. 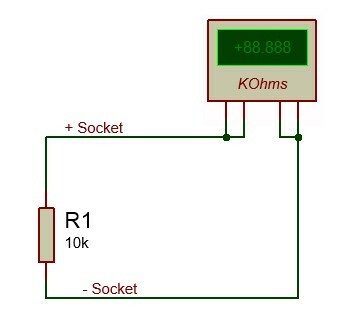 Adjust 0 ohm ADJ to set the pointer to zero position of the ohm scale. Connect the transistor with the tester. For NPN transistor, the 'N' terminal of the tester is connected with the COLLECTOR (C) of the transistor and the 'P' terminal with the EMITTER (E). 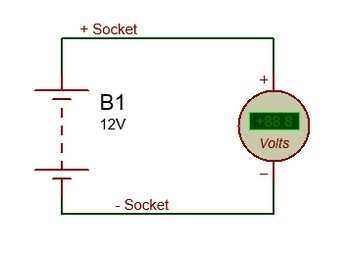 For PNP transistor, reverse the NPN transistor connection. Read icoe range, if the pointer is not within the LEAK zone or the pointer moves up near to the fullscale, the transistor tested is not good. Otherwise it is a good transistor.